This post is sponsored by Stella and Dot. Hiya Kids! Do I have a treat for you today! Ever heard of a little old jewelry company by the name of Stella and Dot? 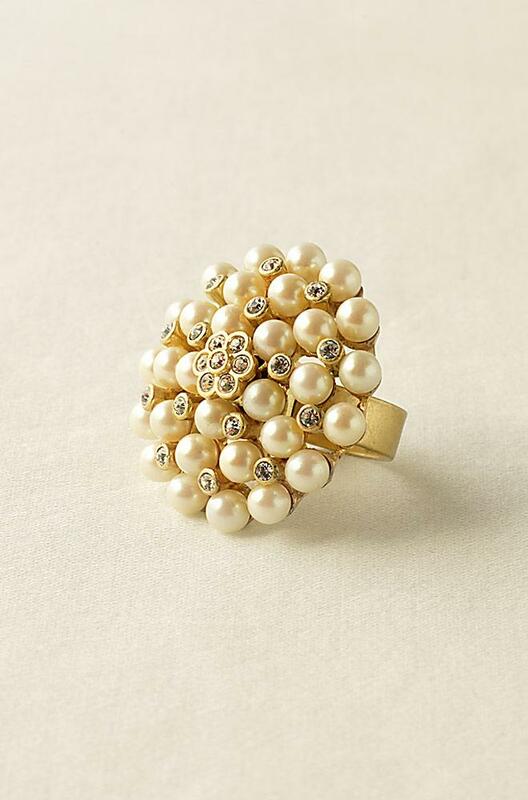 Things like this lovely Vintage Cluster Ring. 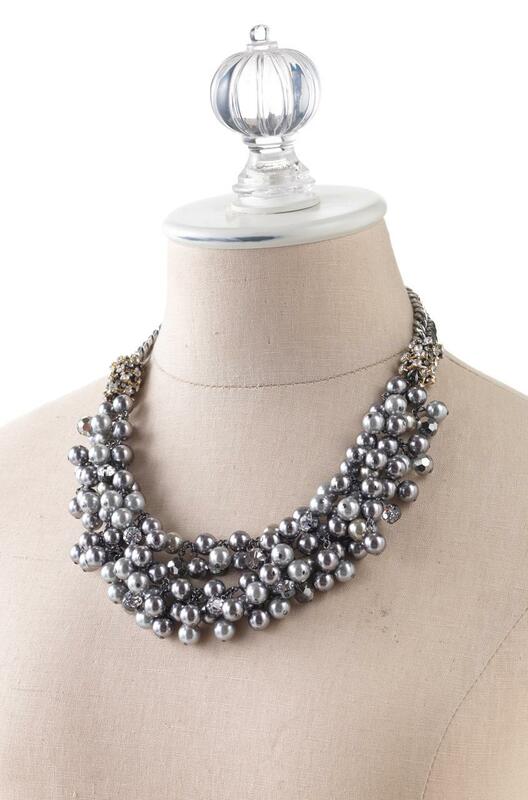 Or this Isadora Necklace. I"m head over heels for this! I am a gray girl after all. 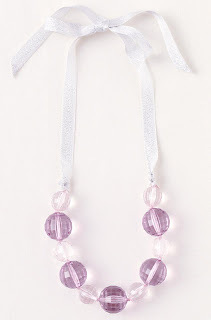 They even have adorable pieces for the little girl in your life. 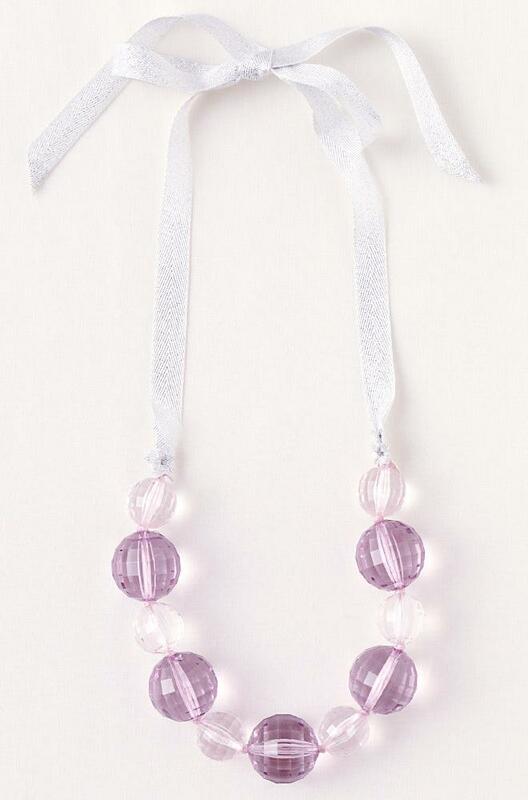 My daughter would LOVE this Tatum necklace! And today, Shabby Nest sponsor Jennifer of Stella and Dot has offered to give one lucky reader of The Shabby Nest these fabulous Tudor Stud earrings. Aren't they just gorgeous? Simply leave a comment on this post to be entered for your chance to win. You can gain additional entries by Tweeting, Facebooking or blogging about this giveaway but you must leave a comment for each entry to be considered valid. This giveaway will remain open until Friday, July 22 at 11:59 MST. Good luck and have a great day! This post was sponsored by Stella and Dot, The opinions expressed are my own. I LOVE stella and dot....such cute stuff! Pick me! I love Stella & Dot. I hope I win!!!! I have a Stella and Dot necklace that I just love. Those earrings are beautiful! Love the purple! Beautiful, beautiful jewellery. I love that necklace, too. Thanks for the fun giveaway. This is beautiful Stella and Dot has such great stuff :) I would love all of these wouldn't any woman! oh they are beautiful! would be great to win! So pretty! I'd love to win. Wow! I'd love to win but I'm going to have to go shopping there, too, before you announce the winner! I can't wait that long. I would totally love to win! How awesome is this and it is almost my birthday week! Perfect present! That ring is awesome! Sign me up. Would love a new piece to perk up my clothes! I adore the Isadora necklace too!! Classy and fun, trendy but classic all at the same time! What's not to love?!?!??! Beautiful! Thanks for the opportunity to win. They are gorgeous. I would Love to win them. Oh how I love Stella and Dot, they have such beautiful things! Thank you for the opportunity to win! Lovely! I would love to win those. I love Stella and Dot and I love these beautiful earrings. They have such beautiful pieces for such great prices! So pretty! Love her stuff! I love me some Stella and Dot! Hey! I posted about your giveaway on my Facebook page! I would love to win those earrings! I LOOVE Stella & Dot! Each piece is so unique and special! Totally my style, I`d love to add a few pieces to my collection, hope I win!! I was not aware of Stella and Dot before seeing your post, but I added it to my favorites! Beautiful! So great - looks like they could be elegant or causual... totally multi-functional. Yay! Love the all grey necklace! Fingers crossed! I love Stella and Dot stuff! I love Stella and Dot. Love Stella and Dot! So pretty! I love Stella & Dot! Fabulous giveaway!!! I love Stella and Dot and I love the earrings!!! Great giveaway! I have my fingers crossed! Such a sweet giveaway - thanks! Love the earrings! Love that ring!! So pretty! Simply GORGEOUS! I would love to win! I adore Stella and Dot! I just bought the Leona necklace and can't wait to get it!!!! 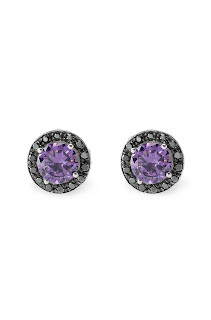 These earrings are also beautiful! great giveaway! I love gifted bling! Happy Summer! Today is my birthday (July 20), so it would be super neato-keeno to win something really pretty! Thanks! What cute jewelry. 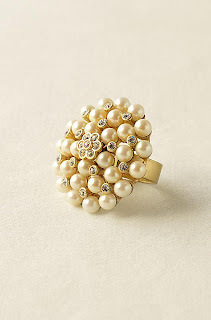 I would love one of those vintage cluster rings... Thanks for an awesome giveaway! Love stella dot! Such cute stuff I've been coveting for a while! Ahh, I love the ring!! It's so cute! count me in!! i'd love to win!! they're so pretty!! pretty! i love the ribbon necklace, too! i woud love a bracelet with similar design, with ribbon and pearls. oh my gosh! i would love to win! and that gray necklace? yumm! I'd love to win this. Their pieces are so beautiful. I look forward to your blog everyday. The jewelry is too gorgeous! Fantastic! I love them! That necklace is beautiful too! They're beautiful! Thanks for the chance to win. Would love to win this giveaway! Gorgeous jewelry! Thanks for the opportunity! Shared this giveaway on Facebook! Oh how exciting! I love Stella and Dot, they have such quality pieces at prices that don't break the bank! Thank you for the chance to win! I would love to win those, super cute!! stella and dot has such great jewelry, I would love to win! Those are so beautiful! I'd love to win. Absolutely love them. They are beautiful!! I would love to win- beautiful jewelry! Mmmm pretty and purple and Bling!! How can I go wrong??? Please enter me for a chance to win. Fingers crossed! Thanks for hosting a giveaway! Wow - I love every piece. I'm going to have to go google this jewelry now. Adorable! Their stuff is so so pretty....thanks for the opportunity! I'd love to own one of their pieces! Those are gorgeous! My favorite color is purple, and Stella and Dot has such beautiful pieces! What an awesome giveaway! Love the goodies!! C'mon pick me! wow...winning something from Stella & Dot would be such a treat! thanks for the chance!! I would LOVE to win this....thank you for the great offer!! I would love to win this - they are fabulous! Thanks for the giveaway! I am new to stella & dot. Love what I'm seeing though! Hope I win! Love all of these! It makes me ready for fall. I love anything that's grey...thanks for hosting this giveaway. Those earrings are beautiful. I love the grey/purple combo! Holy purple persuasion!! I love those earrings!!! Those earrings are stunning. Pleaes enter me in this giveaway. I have loved their pieces since first reading about them on a blog over a year ago. What a great giveaway! I love Stella and Dot and those purple earrings are so adorable. I love stella and dot. . .could use a pick me up for sure! thank you! These are beautiful pieces! Please sign me up for your giveaway! Thanks!